Gymnasts are often dubbed the unofficial darlings of the Summer Olympics. Their events are slotted for prime time coverage, and tickets are among the toughest to come by. But just like with any other athletes, gymnasts are not immune to injury. The U.S.'s own John Orozco, a standout star on the men's team, recently suffered a torn ACL having to withdraw from the upcoming Rio games. More than 85,000 gymnastics-related injuries are treated each year in U.S. hospitals, doctors' offices, and clinics. While highly skilled routines showcase a gymnast's supreme strength, balance, and coordination, they also render them highly susceptible to injury. 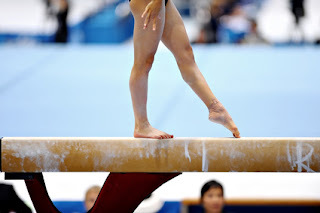 Most injuries occur when a gymnast falls of a piece of equipment or lands improperly after a tumble or dismount. Overuse injuries are also typical in gymnastics where the repetitive motions can take a damaging toll on muscles and bones.